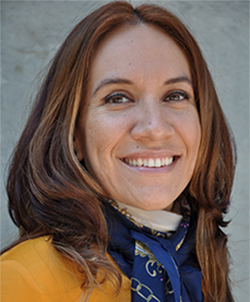 The University of California announced UC Riverside graduate student Marcela Ramirez as the 2016-17 student regent-nominee Tuesday. If Ramirez is confirmed by the UC Board of Regents at the board’s July meeting, she will participate in all board deliberations this upcoming year as a student regent-designate but will not have the power to vote until her 2016-17 term as the 42nd student regent. Her plans include focusing on diversity- and access-related issues, in addition to addressing campus climate. Ramirez is serving as the graduate student representative in the UC Office of the President Lesbian, Gay, Bisexual and Transgender Advisory Committee and previously sat on the undocumented student task force at UC Riverside, according to the release. A special UC Board of Regents committee and members from the UC Student Association chose Ramirez from an original 46 applicants this year, according to the UC press release. The student regent is one of 26 voting members on the board, which is the independent body at the top of the UC system. 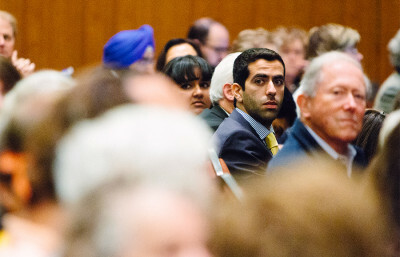 On issues ranging from tuition to creating new campuses, the board adopts policies that govern the approximately 238,700 students and 190,300 staff and faculty throughout the 10 campuses and five medical centers that compose the UC system. Student regents do not technically serve as representatives of students on the board because they are not elected but appointed, according to UCSA board chair and UC Berkeley senior Kevin Sabo. They are simply students who are also regents, he said. 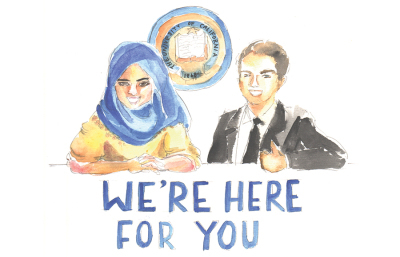 Still, student regents have each given some voice to the needs and stakes that students face in deliberations with other regents on the board. Sadia Saifuddin, UC Berkeley alumna and current student regent, spoke about the new perspectives Ramirez could bring to the board and the effects they could have on women and underrepresented minorities. Sabo and Saifuddin were both part of the vetting process for Ramirez. Ramirez says she wants to work with students on affirming their social identities, looking at intersections of identities and being able to value and honor identities from multiple perspectives. She said her identities — as a Chicana, first-generation college student and member of the LGBT community — play a driving role in how she would serve as student regent. Ramirez received her bachelor’s degrees in economics and French from CSU Fullerton and earned her master’s degree in counseling — with an emphasis on student development and higher education — from CSU Long Beach. She is expected to complete her graduate program at UC Riverside in June 2017. The state constitution says regents should broadly reflect the “economic, cultural, and social diversity of the State, including ethnic minorities and women.” According to Sabo, governors have taken the constitutional stipulation as a suggestion and, in practice, have appointed whomever they wanted. Avi Oved, the current student regent-designate and incoming student regent for 2015-16, said he is excited to see what Ramirez pursues in her upcoming term. Oved, a UCLA undergraduate, met Ramirez on a student-regent recruitment tour. UC system, become knowledgeable on many different issues and build credibility as student leaders, Oved said. Contact Alex Mabanta at [email protected].